PODIE has been serving Negombo, Sri Lanka since 1985. PODIE’s goal is to raise the living standard in small scale farming communities in Sri Lanka by eliminating several links in the traditional trading chain. PODIE is able both to pay farmers more for their spices (25% to 40% above market rates – income which is used to provide education, sanitation, housing and basic health care for families) and also to fund other services. 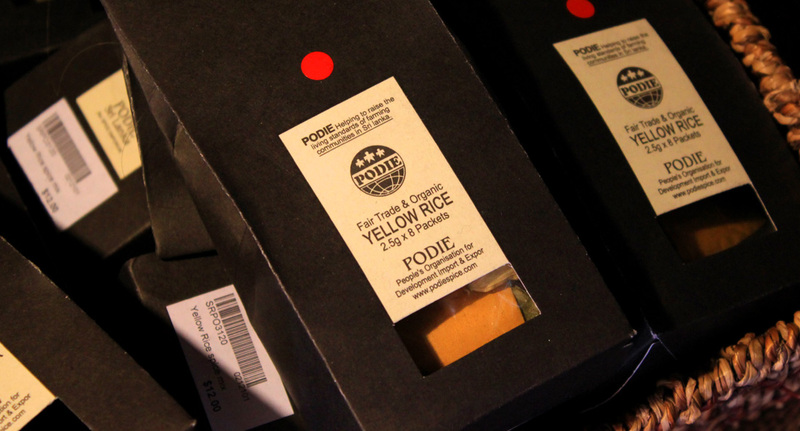 PODIE buys directly from producers so the goods can be exported to fair traders around the globe. With your purchase, you are helping to increase the standards of living and create renewed provision for hard-working farming communities.